In 1969, the local Antique Automobile Club of Saskatchewan based in Moose Jaw, purchased, after many years of fundraising, ten acres of land, eight miles from the city. That year, a 36ft x 72ft museum building was constructed to house and display antique cars and to host car rallies. Soon more items began to arrive; tractors, a binder, and a threshing machine. The farmer, from whom we purchased the land, offered to let us harvest his oat crop. Thus began our first threshing bee in the fall of 1969. Soon, local communities had buildings they wanted to see preserved, such as the Spicer School, Tilney Church, and the Baildon railway station and so the Prairie Pioneer Village and Museum was born. Since then, the museum has grown by leaps and bounds, thanks to a small but dedicated group of volunteers. We now have nearly 50 display buildings, and numerous storage buildings, which represent the early settlers, the coming of the railway, the building of grain elevators and the development of pioneer towns. 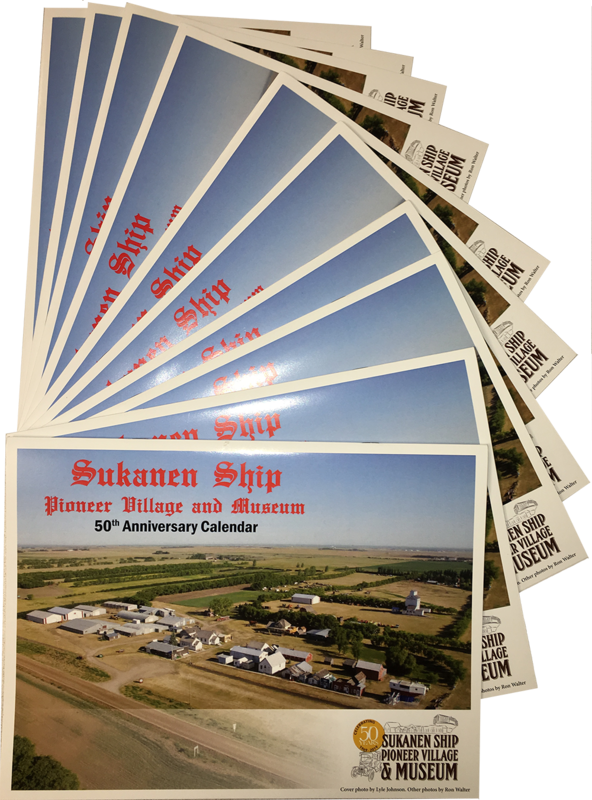 In 1977, the Sukanen Ship was dedicated and became the focal point of our museum, so our name was changed to reflect this unique and fascinating part of Saskatchewan's history. Many more milestones have followed, including the rescuing of the Diefenbaker homestead from an uncertain fate, acquiring Bill Young's extensive Allis Chalmers and Case IH collection which is housed in two 50ft x 96ft display buildings, and preserving the 100 year old grain elevator from Mawer, Saskatchewan. The number of artifacts in our collection is difficult to accurately determine but it must exceed 100,000 including the indoor display of over 50 cars and trucks, more than 140 tractors, as well as 43 pieces of machinery, horse-drawn equipment and snowmobiles. A tribute to the pioneers who settled in this province and to the tenacity of one man who struggled through personal tragedy and local ridicule in pursuit of a seemingly impossible dream. While typical of thousands of other homestead stories, this one brings to life the humble beginnings of a man who went on to become Canada's 13th Prime Minister. Although it is not a single artifact, it is an accumulation of buildings over half of which came from the surrounding areas and tell the story of the arrival of the railway and the subsequent development of businesses and communities. 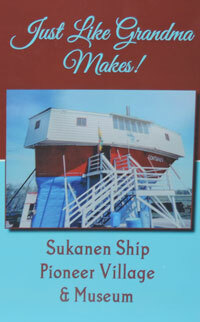 The story of Tom Sukanen and his ship and it's final resting place at the Sukanen Ship Pioneer Village & Museum. You will find these and other souvenirs at the Main Museum Office where you purchase your admission tickets. For General Museum Questions or to donate items or money, call Gord @ 306-630-5727 or leave a message @ 306-693-7315. *Money donations of $100 or more will receive a tax receipt upon request. ©2018 Sukanen Ship Pioneer Village & Museum.